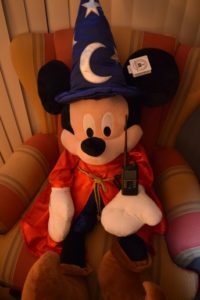 December D.E.A.R.S Net | Disney Emergency Amateur Radio Service Inc.
Christmas is over and Mickey is ready for the December D.E.A.R.S. Net!! That’s right!! It is once again time to make our presence known on the radio airwaves and check into the monthly D.E.A.R.S. Net!! This month’s net will take place on Wednesday, December 28 at 7 pm. The illustrious Bruce Keller (K4BAK) will once again take charge as Net Control!! It is always such a pleasure to listen to Bruce as he is such a phenomenal asset to our D.E.A.R.S. Club. Please join us from all over the world and check in with Bruce (Net Control) during this last D.E.A.R.S. Net of the year 2016. As indicated, we will begin promptly at 7 pm Eastern Time. You will find us on frequency 147.300 PL 103.5. We invite anyone and everyone to join us and check in with your name, amateur radio call sign and share any traffic you may have for us. Let’s end the year 2016 with a plethora of check-ins and let everyone know we are available for any type of emergency situation to provide communications through amateur radio and the D.E.A.R.S. Club. I am anticipating a large check-in this month as we all recuperate from our feasts of food and gifts and look forward to a bright New Year ahead. Don’t miss out on this amazing experience!! This entry was posted in Uncategorized by N7WWL. Bookmark the permalink.